As I sat watching this film, a sensation I seldom feel swept over me; chills. I’m not someone who gets overly caught up in moments, or gets unduly emotional; so it’s a testament to how hard this film hits, and how masterfully it was crafted. AINHOA comes to us from Spanish writer & director Iván Sáinz-Pardo (Simones Labyrinth, Out of Order). It follows a 9 year old girl named Ainhoa (Aurelia Schikarsky) as she struggles to deal with her family’s extreme financial distress. With corrupt Spanish politicians evicting families from their homes on a daily basis, Ainhoa’s mother (Natalia Mateo) and father (Fele Martinez) begin to come to the realization that they could be amongst the next of the evicted families left on the streets. Even though her parents attempt to shield the young girl from the families troubles, the severity of the situation is evident to young Ainhoa, pushing her to embark on an adventure to prepare for her family’s likely future, and to send a message to the corrupt officials responsible for their hardships. One of the most striking things about this film is how near flawless it is visually. Front to back, this film is gorgeous. Cinematographer Jose Martin Rosete clearly has a firm grasp on the art of visual storytelling. There’s not a single frame in this film that couldn’t be hung up on your wall. It’s simply a display of masterful cinematography. But, a film with nice visuals is nothing without nice performances to support it; and AINHOA delivers on this with utter perfection. Ainhoa’s parents, played by Fele Martinez (Thesis, Bad Education) and Natalia Mateo (Casting, Ojos que no ven) we’re absolutely breathtaking and the overall highlight of the film for me. One moment in particular (which I won’t go into too much detail about for the sake of not spoiling the film) was an intense scene between Martinez and Mateo, which had little dialogue. This moment, which was in many ways the emotional climax to the story, was so well performed and so emotionally heavy that it is single handily responsible for the chills I had experienced while watching. I can’t say enough to how talented these two are. The film was further supported by great performances from young Aurelia Schikarsky & Josean Bengoetxea. I can’t go without mentioning the extreme talents of writer/director Iván Sáinz-Pardo. It’s no secret that working with young kids on set can be difficult. In this case, Sáinz-Pardo’s had to handle a situation where the majority of the film stood on the back of an actor shy of 10 years old. Although clearly talented in her own right, Schikarsky’s acting abilities were utilized by Sáinz-Pardo to fabricate an astonishing, moving, eye-opening film that never fails to hold the audience’s attention. In it’s 19 minute run time, AINHOA takes you on a rollercoaster ride of emotions, teaching it’s viewer that adults are more fragile than we may think, children are stronger than we give them credit for, and that there’s nothing more important than family. 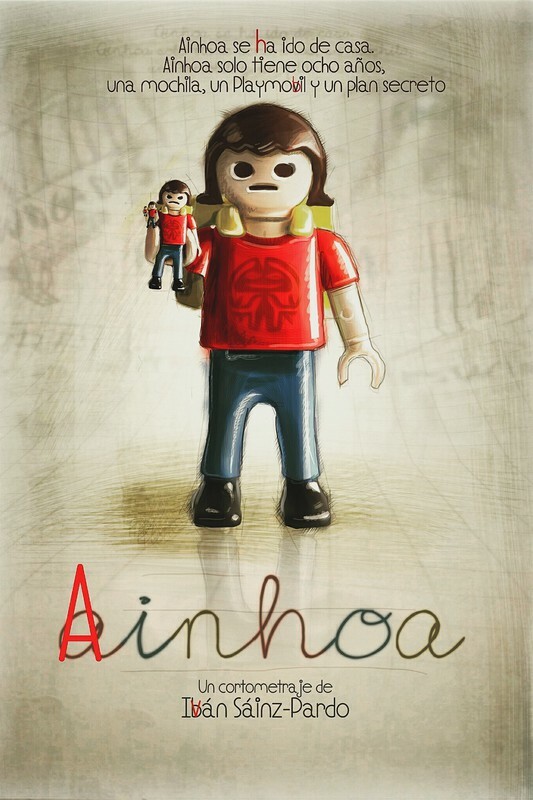 AINHOA is a short film masterpiece and a highly recommended watch for anyone who’s lucky enough to get a chance to see it.